It takes a village to create an organic and enjoyable podcast; Blubrry is here to help get your fresh content out there. Be on the lookout for your favorite audio gear, coming soon. Participate to win all kinds of podcast audio equipment to improve your show. We don’t care if you’ve just started your show, have been podcasting for 10 years or if you haven’t even gotten an episode published yet, we just want to share the podcasting love. Who doesn’t want to win something, no strings attached? You don’t even have to be a Blubrry user. 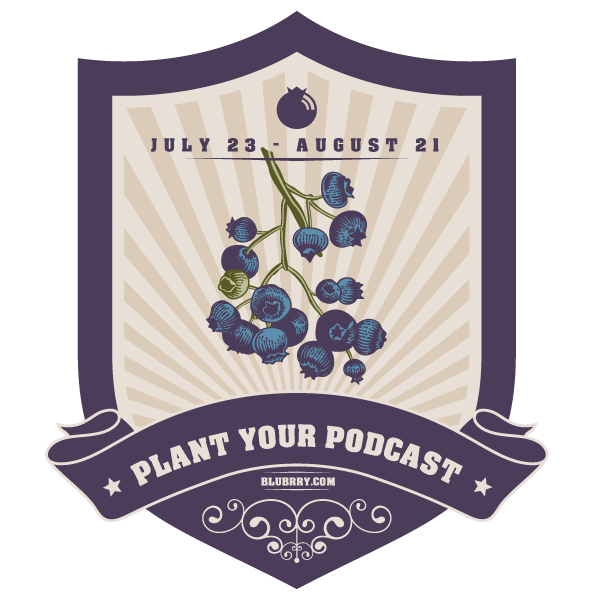 Are you following us on Twitter and Facebook for #PlantYourPodcast? We’re giving away audio equipment and similar gear for an entire month! We couldn’t think of a better time to start than in line with one of the most important and motivating podcasting events of the year. Read below to find out how to participate. Kicks off on Monday, July 23 (first day of Podcast Movement). The last giveaway will be on Tuesday, Aug. 21. In December 2017 we did a giveaway called #BuildYourBlubrry for the entire month. We’re excited to get this started again and help lots of podcasters take their show to the next level. No one said you have to have a podcast studio to have a podcast, but it sure helps to have some good equipment on hand. 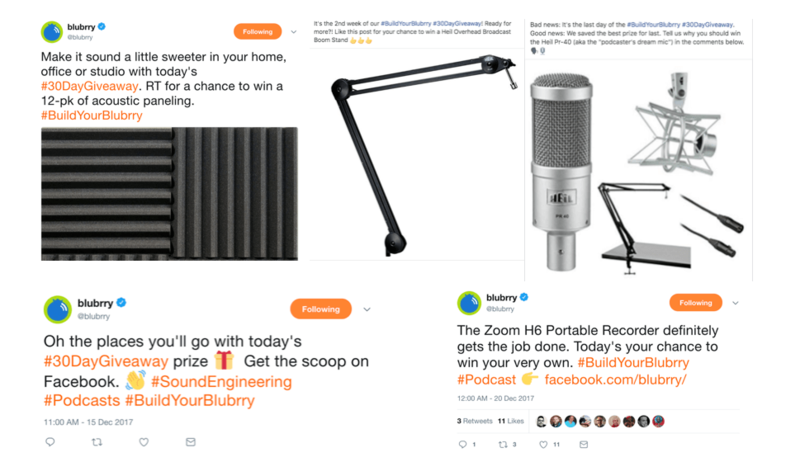 Speaking of winners, we’d love to see you sharing posts of you using your new gear courtesy of Blubrry, whether it’s from #BuildYourBlubrry or #PlantYourPodcast. It’s easy. All you have to do is follow the directions listed in the social media posts. Requests and directions will vary, so be sure to pay attention to them every day. You can see examples from our earlier giveaway above. We’ll reach out to winners individually daily to notify them and figure out shipping logistics. Remember to follow us to keep up to date! Microphones, mixers, portable microphones, headphones, sound panels, etc. Prizes will be listed in the social media post every day. Read about the terms for the giveaway here. Winners from the #BuildYourBlubrry campaign are not eligible to win again within one year. For more details please review the terms. Got questions about the giveaway? Reach out to mackenzie@blubrry.com.